Welcome! 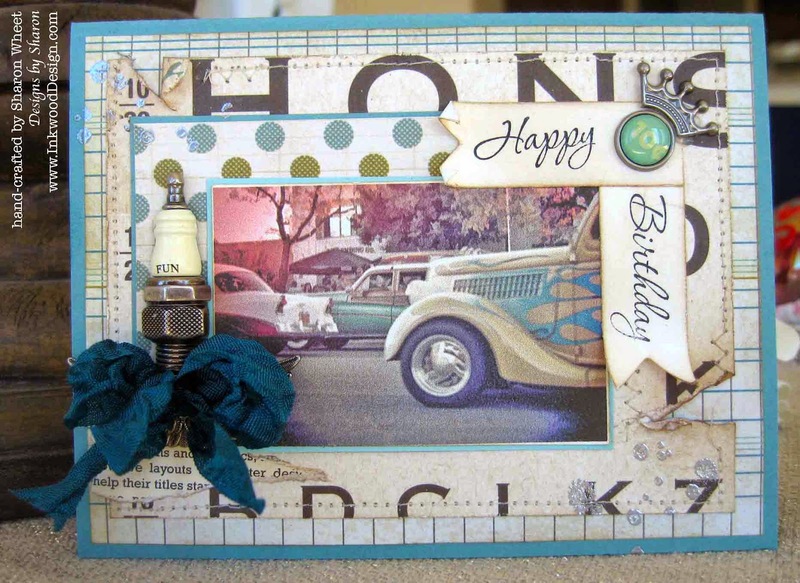 A very special person, my step-father, asked me to make a very special birthday card for his brother, with a vintage automobile on it. 'Sure', was my response. I'd pretty much do anything for a family member, if they simply ask. I'm pretty sure, you would do something similar. I hold family, and very special friends near and dear to my heart. So, a simple request, like asking me to make them a card, is always a 'yes'. However, masculine cards are extremely difficult for me. And I hope and pray, that they don't want a style other than shabby-vintage. Because then I'm seriously lost. But, no style or color combo request was made. Just add a vintage car. So, a birthday card for a brother. Easy Peasy! Right? Ugh. NOT SO MUCH! 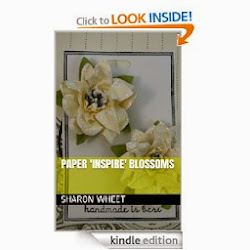 I can add flowers, buttons, white resin embellishments to ANYTHING! but not a masculine card. And I need to add an image of a vintage automobile too! Ummm, what to do! Hand-made cards typically take me an hour or two. And if it is a special request, can easily take me upwards of three hours. So I set out to my craft room. Looked through some pattern papers. Looked through the scrap box. Looked through some Tim Holtz embellishments. Looked through some other odds and ends embellishments. Looked through stamp sets. And finally, looked at Pinterest. Because, when I don't have a clue where or how to start, I can ALWAYS find some inspiration on Pinterest. Right? Well, Tim Holtz likes to do steam punk and tags. And Frank Garcia has a more feminine touch. Ummm. I'm kinda in the same position I was in before! Ok, now some of the pattern papers are from my scrap box. So, I can't guarantee that I have the manufacturer correct. So, lets just get to it! The ledger paper is from a paper pad by Die Cuts With A View. The large text paper is actually an eye chart pattern paper. I believe its from Teresa Collins. But I could be completely wrong. The other side of this pattern paper has flourishes in the same lagoon blue color. Very pretty. I distressed the edges with both scissors and sponging. I had a heavy hand with the scissors on a couple of spots, but it only added character. Right? I did some machine stitching to hold these two layers together. And who wouldn't love a little zig zag stitching? I thought the fussiness keeps it from looking too girly. The green and blue polka dot pattern paper I truly have no idea. (sorry) I matted it on a scrap piece of the lagoon card stock. The automobile photo is actually a digital download from Haute Graphique. It's a shop on Etsy. I wasn't sure what size of car photo I was going to need, so I wanted a digital image, that way I can create any size I need. I matted the digital image onto pool party card stock. I wanted to bring out the blue flames on the forward car. I stamped my sentiment on two separate pieces of white card stock, in jet black star-on ink. I used crumb cake classic ink and my sponge to add some color. I didn't want the stark white paper. I curled the ends of the banner ends to help give it a worn look. I added a torn piece of text paper to the lower left corner of the card. I thought it added some visual interest. I stamped the 'water spots' in versa mark and dusted them with silver embossing powder and heat embossed. Love the random look. Ok, now for the embellishments. I added a vintage price tag brad to the sentiment corner. But it needed something, so I added a flat-back TH crown. Love it! I added a metal thunderbird wing set just above the text piece. I tied a multi-loop bow with a dark blue seam binding, and adhered it just inside the wings. 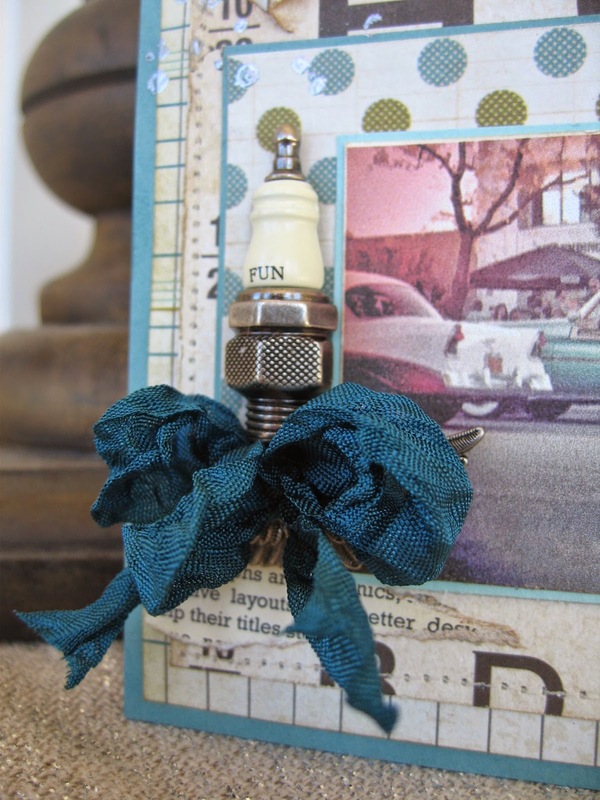 And finally, I added a spark plug embellishment from Prima. 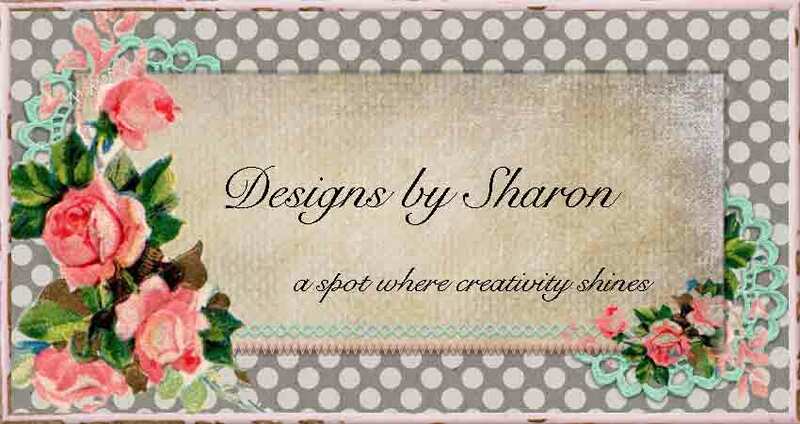 Thanks for your nice cmment on my blog, Sharon. Even in Dutch, great! And of course I come and vistit your blog. 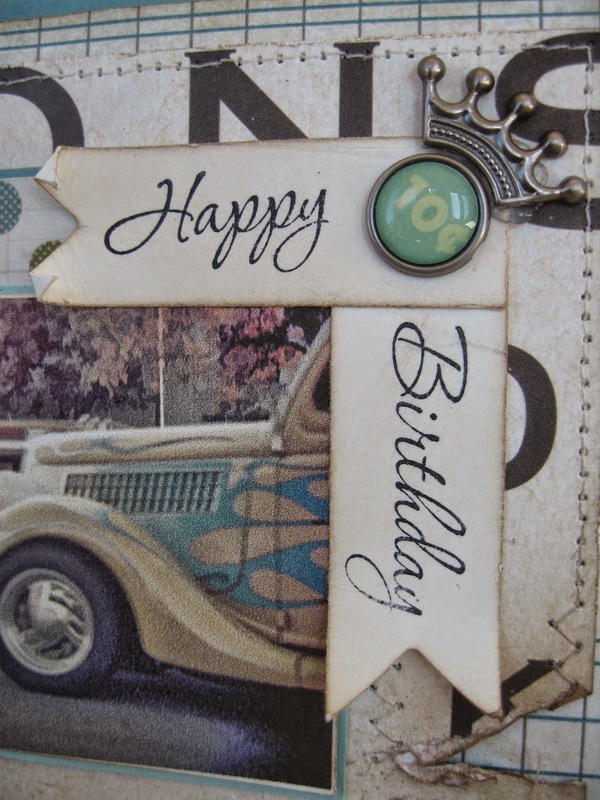 Love the beautiful and personal cards you make with all the gorgeous details!